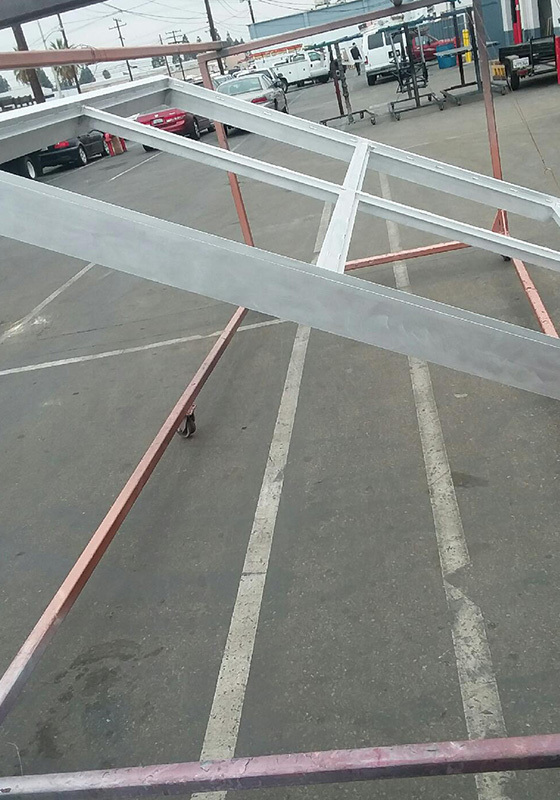 Since 1959, Orange County Powder Coating (formerly Orange County Plating) has been providing Orange, Fullerton, Anaheim, Santa Ana and nearby cities with high quality, cost-effective powder coating, blasting, and stripping services. We are a family-owned, local company dedicated to delivering exceptional workmanship and superior customer service at competitive prices. Over the six decades we have been in business, tens of thousands of satisfied customers have come to rely on us for our expert guidance. They frequently tell us how easy we are to work with, and return to us time and again for all of their resurfacing needs. We offer a full range of powder coating, sandblasting, bead blasting, and chemical stripping services for the following composite metals: steel (copper plate and buff), aluminum, brass, tin, pot metal (die cast), stainless steel, and magnesium. We can also sandblast wood to give it a more weathered, western look. With more than 500 premixed powder coating colors and some of the largest on-site powder coating ovens and blasting booths in Orange County, we’re able to handle jobs of all sizes. In fact, we often receive referrals from other shops who won’t do the work we do. We Welcome Both Residential & Commercial Powder Coating Projects -- No Job Too Large or Too Small! Because our powder coating shop in the City of Orange is fully-equipped to resurface anything from car rims to an entire production line of storefront moldings, we’re able to meet the needs of a wide range of clients, from private individuals and DIY homeowners to interior designers, contractors, and engineers for national corporations. Top commercial customers like Forever 21, Starbucks, and CD Construction trust us to consistently meet deadlines, stay within budget, and provide exceptional results each and every time. Because of our wealth of hands-on powder coating experience, we know the most effective methods to prep your items. Usually this means sandblasting or bead blasting the metal in one of our blasting cabinets. We also provide industrial-grade chemical stripping, which is optimal for removing old paint and powder coat. Whatever the scope of your project, our staff will always use the industry’s best practices to ensure proper electrostatic adherence of the power coat, resulting in a smooth, long-lasting, color-fast finish. Whether you need to clean motorcycle parts, military gear, or patio furniture, we have the skills and expertise to get the job done quickly, affordably, and to your complete satisfaction. Because we want you to be completely happy with any powder coating and resurfacing services you receive from our company, we stand behind our workmanship with a "no attitude redo program." If you find something amiss with your order, and we find that we are at fault, we will be happy to fix it for you at no charge. Call or stop by Orange County Powder Coating today to receive a free estimate from one of our friendly and knowledgeable staff. We are available Monday through Friday, 5am - 4pm. Pick-up and delivery services, on-site assessments, and Saturday appointments are available upon request. Additionally, we provide free samples to help you choose the best powder coating color for your project.